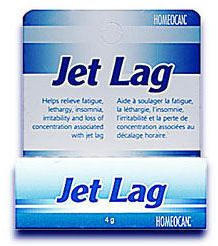 Jet Lag pellets helps relieve fatigue, lethargy, insomnia, irritability and loss of concentration associated with jet lag. Buy 1 for $5.99Buy 2 / Save $0.32!Buy 3 / Save $1.20! Size (inches): 2.76" X 3.15" X 0.98"
Allow 3 pellets to dissolve in the mouth three times a day two days before departure; and every hour during the trip, or as directed by a health professional. Children: 1/2 the dose. Not to exceed recomended dosage. Arnica Montana 10X & Bellis Perennis 10X & 30X,Chamomilla 10X & 30X, Ipecacuanha 10X & 30X, lycopodium clavatum 10X & 30X. Do not use if cap seal is broken. Keep out of reach of children. If symptoms persist or worson, discontinue use and contact a health proffesional.